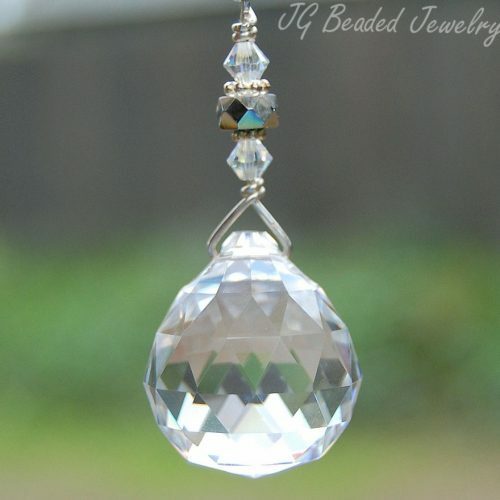 This beautiful Xirius Swarovski teardrop crystal suncatcher has such elegance in the shape and will look perfect on the rearview mirror, in a window or simply attach it to the ceiling fan or light pull! 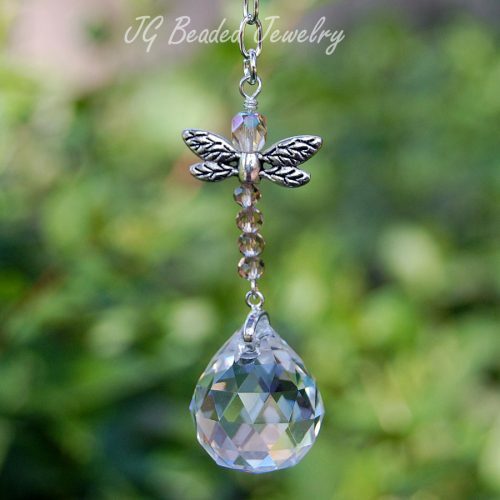 This Swarovski suncatcher is uniquely designed and wire wrapped for strength, quality and attention to detail. 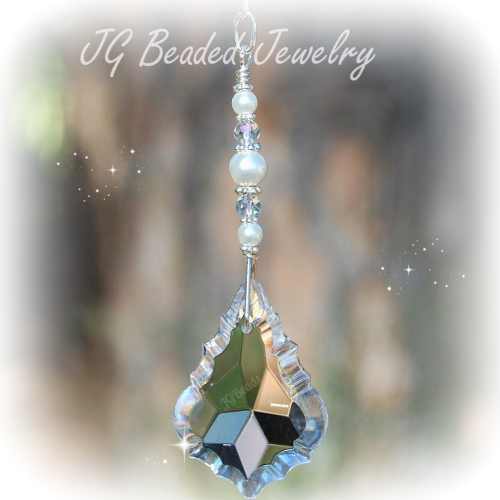 The Swarovski Xirius crystal is 24mm and has a point at the top and a flat bottom. When you look at the crystal from the bottom, it has a beautiful kaleidoscope effect! 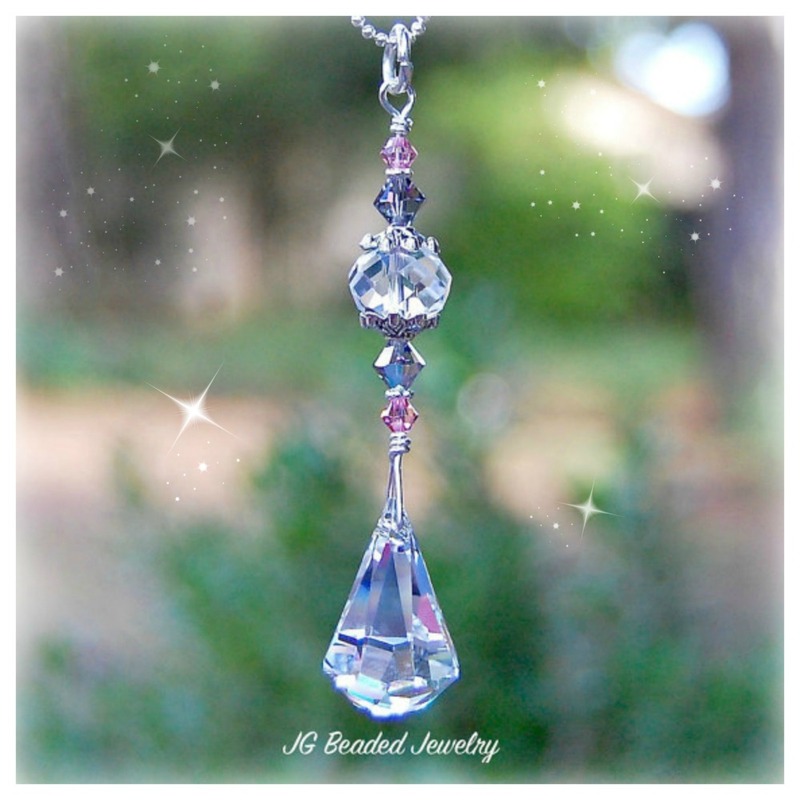 The crystal is embellished with gorgeous pink and Black Diamond Swarovski crystals, fancy silver bead caps and a faceted clear in the middle. Swarovski is known worldwide for quality, precision cut, and flawless crystals – they are the best!